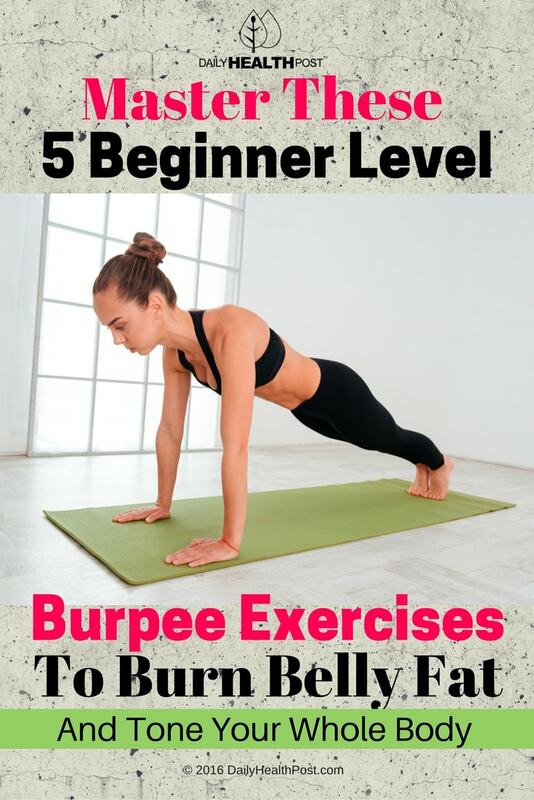 The burpee is one of the most effective fat burning exercise you can do at home using nothing but your own bodyweight. This single exercise can help condition your shoulders, arms, core, glutes – basically, your whole body. Unfortunately, it’s also a very tough exercise to do. Not everyone is able to do them with good form. If you want to master the burpee you need to start with the basics. For each level, make sure you’re able to perform 30 reps in one go before progressing to the next one. Level 1 – Squat down as low as you comfortably can. Place your hands on the ground and then place your feet back behind you one at a time. Then return to starting position. Level 2 – Squat down. Place your hands on the ground and then place your feet back and knees down onto the ground – one at a time. Perform one knee pushup, going down as far as you can handle. Then return to starting position. Level 3 – Squat down and bounce/kip the feet back into a pushup position. Then return to starting position. Level 4 – Squat down, kip your feet back, perform a pushup, kip your feet forward, achieve flat foot squat stance, stand back up. 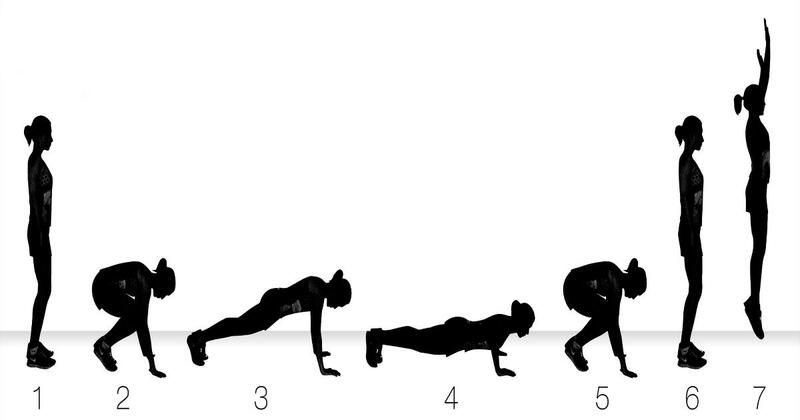 Level 5 (classic burpee exercise) – Squat down, kip your feet back, perform a pushup, kip your feet forward, achieve flat foot squat stance, perform a squat jump. Here’s a sample workout for someone starting at level 1. In between reps, you can take short breaks as long it helps you maintain a technique rating of 8+ (out of 10, 10 being perfect technique), a discomfort rating of 3 or lower (10 being the worst pain you’ve ever felt), and an exertion level at or below 6 out of 10 (i.e. 60% of your max). After this first month, simply progress to the next level and repeat until you reach the last level. This may seem very slow but it’s very effective and safe. If you stick to this until the end you will experience major improvements in your muscle tone, strength and endurance.